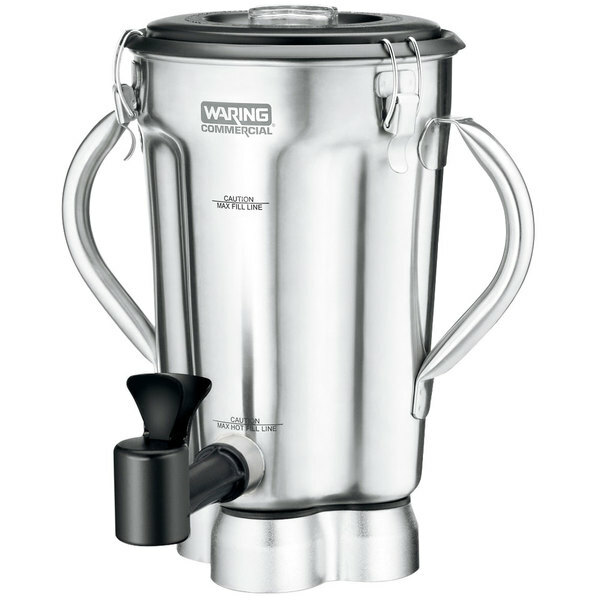 This Waring CAC125 1 gallon stainless steel container works with CB10 and CB15 blenders to easily provide customers with smoothies, mixed drinks, salsa and more. It allows you to replace the container that came standard with your unit, or simply have an extra on hand to minimize the number of times you need to wash your jars in a day. 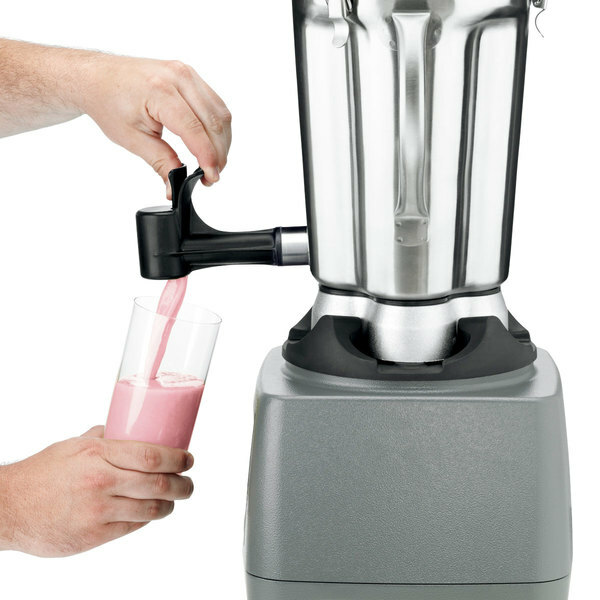 This stainless steel container comes with everything you need to start blending, including a blade assembly and lid! It boasts two ergonomic handles for simple lifting and has a built-in spigot to make dispensing easier than ever.